Family Garden Window. Free shipping. 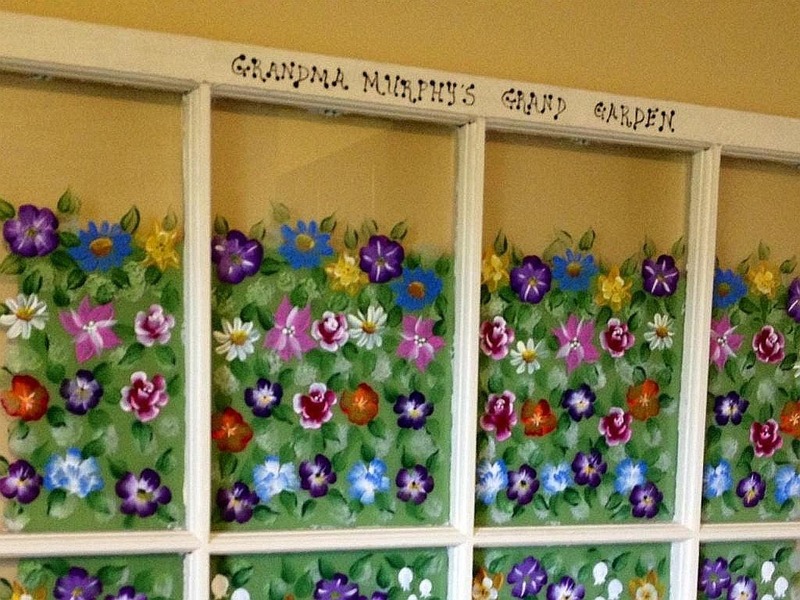 Custom made using the hand painted birth flower for each family member. Each window is re-purposed from our local historical architectural warehouse and carries the charm of age and weathered beauty. 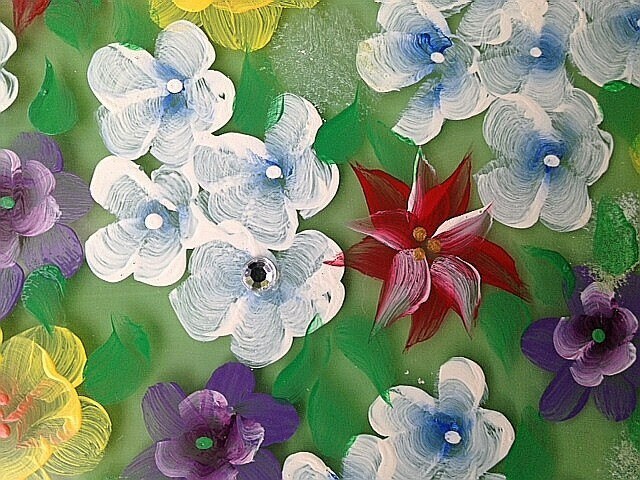 You choose the flowers of the birth month for each family member and I create a painted garden unique to your family. Truly an heirloom gift. Because the windows are very old, some imperfections may be present. This only adds to their beauty. They range in size, but the average is approximately 32" wide by 24" high. The frames are antiqued using a crackle method and linen colored paint. 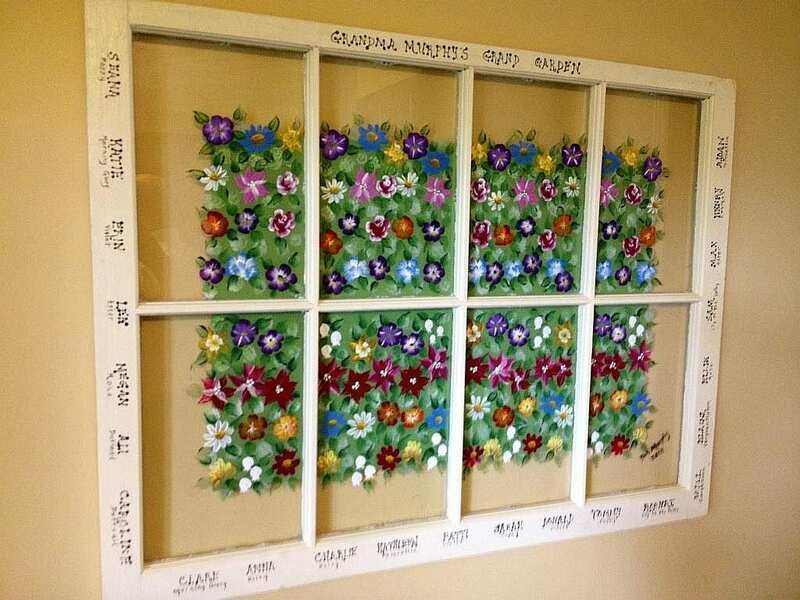 The names of family members are painted individually around the frame. Clean by gently using a dry cloth. Hanging hardware is included. SHIPS ONLY IN LOWER 48 STATES. 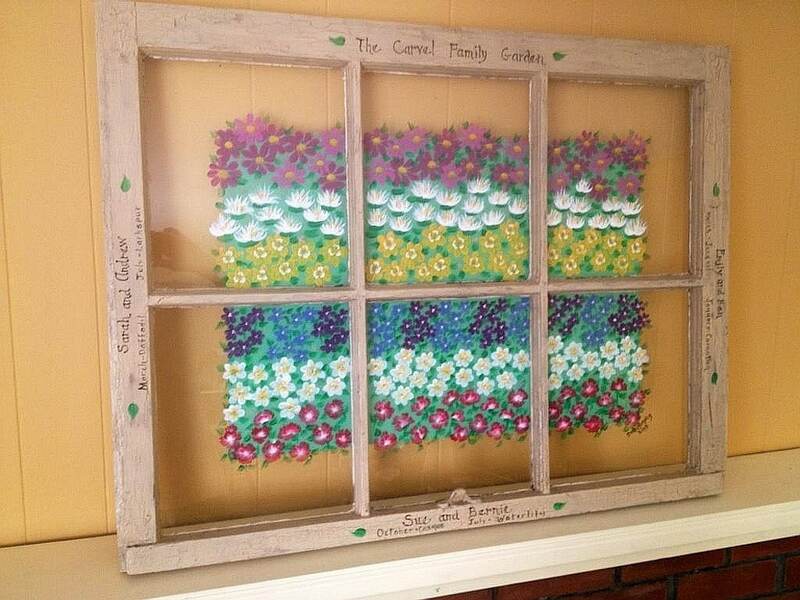 Custom Made Family Garden Window. Free shipping. 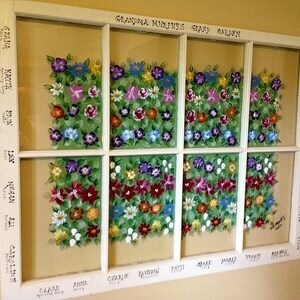 Hand painted birth flower for each family member. 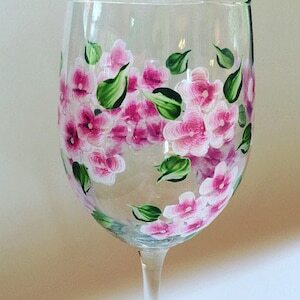 Pink Hydrangea Hand Painted Wine Glass 20 oz. Free shipping.